Todd Foster is a man on a mission. 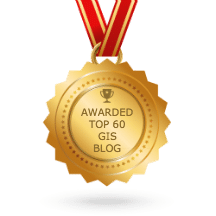 For the past six years, he’s been focused on building Queensland-based Milestone Survey into a 21st century spatial firm that delivers dynamic solutions with a skilled team. His efforts are paying off. By blending traditional survey techniques with innovative ways of problem solving, Milestone Survey has grown into a strong player in the Australian market—even in a slowing economy. Foster’s focus on high-accuracy, innovative spatial solutions started with high-accuracy monitoring. From 2005 to 2011, Foster worked on two large dam projects for tier-one construction companies. After the second dam was complete, Foster decided to embrace his entrepreneurial spirit and venture out on his own by starting Milestone Survey with his wife Deborah. Milestone took its next key step on a natural gas works infrastructure project for Thiess (now CPB Contractors). CPB—a construction company delivering major projects including roads, rail, tunneling, defense and building—hired Milestone to conduct site establishment and high-accuracy control networking. The work entailed installing high-accuracy control points and installing base stations at CPB project sites. The many sites on the gas project were in remote locations with limited phone coverage and little to no existing survey control. 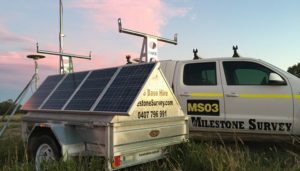 Milestone Survey designed and built four solar-powered GNSS base station trailers, which allowed the base stations to be set up in optimum locations without being restricted to a location with a power outlet. This meant they could be placed on top of hills and central to the area that needed coverage. The trailers also had a timer to turn off when they were not needed (usually night time). One of four solar-powered GNSS base stations Milestone Survey built for CPB Contractors. Installed at the remote locations, the trailers ensured the sites would be able to get accurate and reliable RTK GNSS coverage. 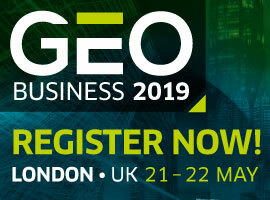 To establish coordinates for the survey control marks at each site, Milestone used Trimble® Total Station and DiNi® level observations of its control marks as well as Trimble GNSS static observations to existing control marks far away from the site. Using a partially constrained least squares adjustment within Trimble Business Center software, they were able to streamline the process obtaining accurate control marks on each site. 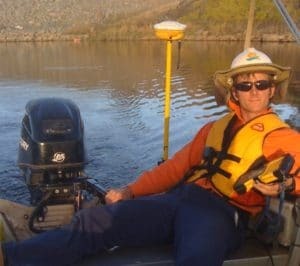 Foster uses a Trimble GNSS receiver combined with a SonarMite echo sounder for an underwater survey of the Hinze Dam. Involvement in the initial implementation of many remote sites led Milestone Survey to innovate new ways to set up primary control marks in reactive and unstable ground conditions. They designed a trailer equipped with hydraulic tools (auger, drivers, jack hammers and cement mixer) that could be used to efficiently install the highest-quality survey control marks. Investment in these non-traditional boutique solutions enabled Milestone Survey to become invaluable to their client. They could establish new sites in half the time. By the end of the project the company had provided base stations and primary control marks on 18 CPB sites. The knowledge and expertise Foster gained in high-accuracy control networking during the CPB site establishment work opened the door for a new business opportunity with an existing client. 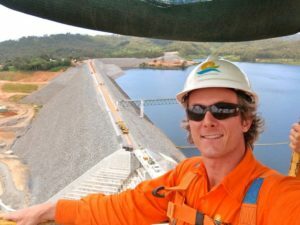 Prior to founding Milestone, Foster had done surveying work in 2007 on the Hinze Dam, the main water supply for Australia’s Gold Coast. The project he worked on entailed raising the dam wall 15 m (49 ft) to raise the water level by 10 m (33 ft)—almost doubling its capacity to 309,000 million liters (82,000 million U.S. gallons). The upgrade process involved adding extra height and safety features and cost $400 million. Aerial view of the Hinze Dam during construction. Foster at the Hinze Dam where he worked on an upgrade project adding height and safety features, and now does their dam deformation monitoring. 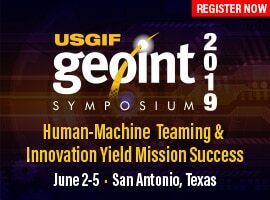 Leveraging his new knowledge in high-accuracy monitoring, Foster purchased a Trimble S8 total station with half-second angular precision; the instrument would enable him to take on large, high-accuracy projects. 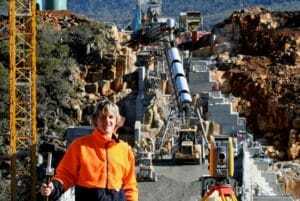 He then approached Hinze Dam Alliance about their dam deformation survey work—and won the job. For the indeterminate future, his company will be conducting an annual survey to capture data on any movement or deformation. To date, Milestone has conducted three such surveys on the dam. Early years of Foster’s relationship with Trimble equipment. Working on the Meander Dam, he used a Trimble S6 total station for all stakeout and as builts. 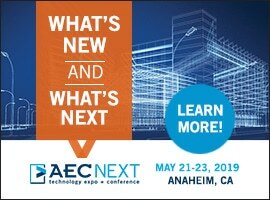 In any industry, companies rise to the top by providing efficient, innovative solutions for their clients’ problems. 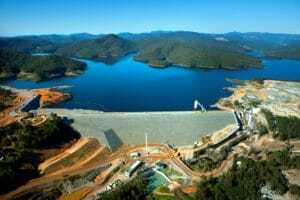 For example, in monitoring the Hinze dam, the immense size of the project created an interesting challenge. The dam wall is about one mile long, requiring extensive movement back and forth on the wall to move prisms. Moving on the dam was difficult using vehicles and slow on foot. 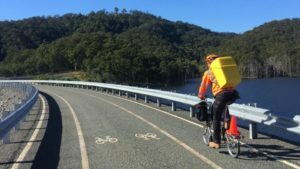 To speed up the monitoring process, Foster uses a fold-up bicycle to transport the Trimble S8 total station to the various locations on the Hinze Dam. To solve the problem, Foster decided to use fold-up bicycles to speed up the access to various measurement stations. The convenient fold-up bikes provided fast, safe movement on the dam and sped up the measurement process. Foster’s associate, Marian Plucinski, developed a way to remotely turn the prisms to point to the instrument, which saved even more time. In addition, Foster purchased additional prism targets to eliminate the constant need to pack up a target and then set it up again at other sites on the dam: one prism on each pillar of the dam—17 in total. As a result of these innovative ideas, Milestone could reduce the time needed to conduct the monitoring measurements from seven full days down to roughly two and a half days. Foster has built a company that uses innovation, talented employees, and leading-edge survey equipment to deliver value to its clients by anticipating the clients’ needs. It’s this ingenuity and ability to create solutions that clients can’t live without that will ensure the success of this new venture, Milestone Spatial, for a long time to come.